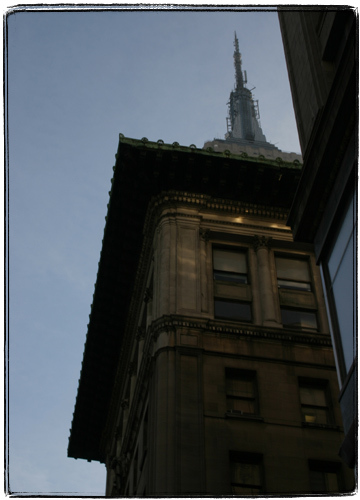 I am moving ahead with my “100 Views of the Empire State Building” project. 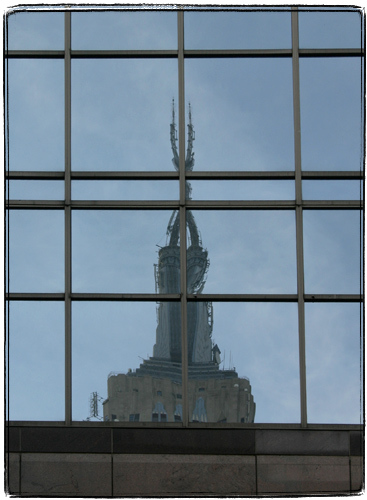 If you are just joining the readership of this journal, 100 Views is my attempt to take 100 interesting pictures of the Empire State Building. I did not know this until now, but apparently “24 Views of Mount Fuji, by Hokusai” is a Hugo winning story by Roger Zelazny, and the actual number of prints featuring Fuji by Hokusai is far greater. For instance there is one book of them that is called “Hokusai: One Hundred Views of Mt Fuji“. Zelazny’s story seems to be a bit obscure, even though “24 views” is a rather common expression. I found the story in question in “The New Hugo Winners vol 2” through Zelazny’s bibliography, one rare example when Amazon’s search sucked.